Iran hosted Holocaust deniers from around the world on Monday in a conference debating whether the World War II genocide of Jews took place, a meeting that Israel's prime minister condemned as a "sick phenomenon." 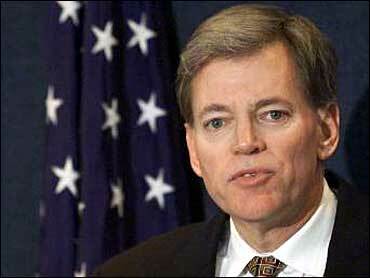 The 67 participants from 30 countries included former U.S. Ku Klux Klan leader David Duke. The New York Times reported that Duke, a white supremacist, was expected to claim that Germany built no gas chambers or extermination camps during World War II. "Depicting Jews as the overwhelming victims of the Holocaust gave the moral high ground to the Allies as victors of the war and allowed Jews to establish a state on the occupied land of Palestine," Duke said, according to the summary of the paper he will deliver, the Times reported. Duke told BBC cameras in Tehran that he is not a Holocaust denier. "I'm a Holocaust questioner," he told the BBC. "But I'm here to defend freedom of speech." Other attendees include a number of Western Holocaust skeptics who have been prosecuted in Europe for publishing their theories casting doubt on whether 6 million Jews were killed by the Nazis or whether gas chambers were ever used. "The number of victims at the Auschwitz concentration camp could be about 2,007," Australian Frederick Toben told the conference, according to a Farsi translation of his comments. "The railroad to the camp did not have enough capacity to transfer large numbers of Jews." The two-day conference was initiated by President Mahmoud Ahmadinejad in an apparent attempt to burnish his status at home and abroad as a tough opponent of Israel. The hard-liner president has described the Holocaust as a "myth" and called for Israel to be wiped off the map. Earlier this year, his government backed an exhibition of anti-Israel cartoons in a show of defiance after Danish cartoons caricaturing Islam's prophet Muhammad were published in Europe, raising an outcry among Muslims. Organizers and participants touted the conference as a scholarly gathering aimed at discussing the Holocaust away from Western taboos and the restrictions imposed on scholars in Europe. In Germany, Austria and France, it is illegal to deny aspects of the Holocaust. Duke, a former Louisiana state representative, praised Ahmadinejad for his "courage" in holding a conference "to offer free speech for the worlds most repressed idea: Holocaust revisionism." "In Europe you can freely question, ridicule, and deny Jesus Christ. The same is true for the prophet Muhammad, and nothing will happen to you," he said in his speech. "But offer a single question of the smallest part of the Holocaust and you face prison." Also among the participants were two rabbis and four other members of the group Jews United Against Zionism, who were dressed in the traditional long black coats and black hats of ultra-Orthodox Jews. The group rejects the creation of Israel on the grounds that it violates Jewish law. Rabbi Ahron Kohen urged participants not to deny the Holocaust. "If we say that this crime did not happen, it is a humiliation and insult to the victims," he said, according to the Farsi translation. But he added that Zionists have used the Holocaust to "give legitimacy to their illegitimate project," the creation of Israel. Another participant, Robert Faurisson, has been convicted five times in France for denying crimes against humanity — most recently last month, when he was fined for denying in an interview with the Iranian TV channel Sahar 1 that the Nazis meant to exterminate Jews. Faurisson, a retired French university professor, has regularly caused outrages in France. He has claimed, notably, that no gas chambers were used in World War II Nazi concentration camps. The gathering brought quick condemnation from Israel and Germany. Israeli Prime Minister Ehud Olmert called on the world to protest the conference, terming it "a sick phenomenon." German Parliament President Norbert Lammert protested the conference in a letter to Ahmadinejad, calling it anti-Semitic propaganda "under the pretext of scientific freedom." Israel's official Holocaust memorial, Yad Vashem, said the Tehran conference was "an effort to mainstream Holocaust denial" and "paint (an) extremist agenda with a scholarly brush." Iranian Foreign Minister Manouchehr Mottaki dismissed the foreign criticism as "predictable," telling conference delegates in a speech that there was "no logical reason for opposing this conference." "If the official version of the Holocaust is thrown into doubt, then the identity and nature of Israel will be thrown into doubt," said Mottaki, whose ministry put together the conference. "And if, during this review, it is proved that the Holocaust was a historical reality, then what is the reason for the Muslim people of the region and the Palestinians having to pay the cost of the Nazis' crimes?" A statement from Ahmadinejad was expected to be read to the delegates on Tuesday. The conference fit in with Ahmadinejad's policy of seeking to cast Iran as an alternative power to the West — in politics, science and academics. His anti-Israeli and anti-U.S. stances have brought out crowds of supporters during visits to Asia and Africa over past years, and he has used those themes to rally support at home. Ahmadinejad has said that the killing of six million Jews by the Nazi German regime during World War II was a "myth" and "exaggerated." He has also repeatedly said Palestinians had to pay the price for European guilt over the Holocaust. The Tehran gathering coincided with an independently convened academic conference on the Holocaust in Berlin, Germany, where historians affirmed the accuracy of the Nazi genocide data and questioned the motives of those behind the Tehran forum. "They want to use what happened — through denying it — to effect something else, to articulate the crude old anti-Semitism against Israel," he said. "It's about politics ... not about scholarship."